Three former Neos Kosmos colleagues have reunited in Athens to work on an important project for a Greek company that is transforming the global shipping industry. MarineTraffic, a ship tracking and intelligence platform, is one of many Greek startup success stories of the last decade. It recently appointed Nikos Psaltopoulos as its first ever Chief Operations Officer (COO) to bolster the firm’s ambitious 2020 vision. He joins Georgios Hatzimanolis, the Media, Communications & Content Manager at MarineTraffic. Both are former editors of the Neos Kosmos English edition. Now based in Athens, Nikos and Georgios contributed to the company’s recent Winter Summit, where over 100 MarineTraffic employees from Greece, the United Kingdom, Spain, Brazil, Singapore and the Philippines were united at the Stavros Niarchos Foundation Cultural Centre. 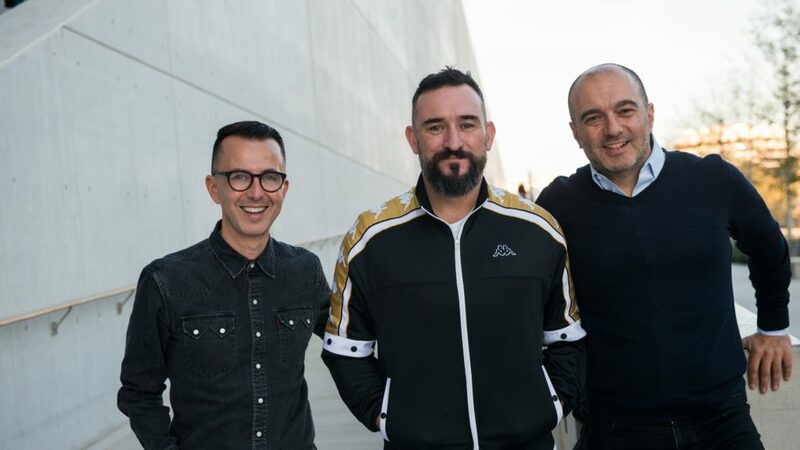 The two-day event was supported by an intensive program developed by another former Neos Kosmos employee, Dimitris Antonopoulos, who is now the Managing Director of Tank, a Melbourne based brand strategy and innovation consultancy. On being reunited again, Dimitris shares; “I can’t tell you how close to my heart these two boys are. We worked together over 20 years ago in Melbourne and here we are today collaborating on something exceptional, for one of Greece’s most remarkable global technology companies”. Over the years Neos Kosmos English edition has been the “springboard for many successful Greek Australians, including people like Petros Kosmopoulos, Christine Panayotou, Bill Kyriakopoulos and Yiota Gousas. Arguably, two of the most successful have been Nikos and Dimitris, so it a great honour to be reunited with them here in Athens” says Georgios Hatzimanolis. The three share the same excitement for the vibrant startup scene in Athens, and the city’s thirst for innovation and new opportunities. “The world is getting one side of the story when it comes to Greece,” says Nikos. Georgios agrees, explaining how disappointed he gets when he reads comments by the Greek diaspora on social media. “I’ve grown tired of reading comments by Greeks in Melbourne and New York about how terrible Athens is and that this city has no future.” Both agree that while there are many in the Greek capital doing it tough, there are also enterprising Greeks who have launched leading companies from Athens and are having global impact. Visiting Athens from Melbourne, Dimitris is also inspired by the energy. The three Melbourne boys hope to harness this Athenian momentum as they look to further disrupt the shipping industry via MarineTraffic. “At MarineTraffic we’re a global company with an Athens HQ. Our platform has more than 6 million users monthly and our origins are very Steve Job-esque. Our founder, Dimitris Lekkas launched this as a passion project and created a global ecosystem and network of users that are now fuelling our growth and reach,” says Nikos, who like the other two is excited about what more can be achieved.